Buy it today, watch it tonight! Climb aboard for a magical carpet ride with nonstop laughs, action-packed adventure and Academy Award®–winning music that will make your heart soar (1992: Best Music, Original Song, “A Whole New World,” Original Score). Now for the first time ever, a whole new world of Disney’s Aladdin is revealed in a whole new way on Blu-ray and Digital HD—with a never-before-seen Bonus! 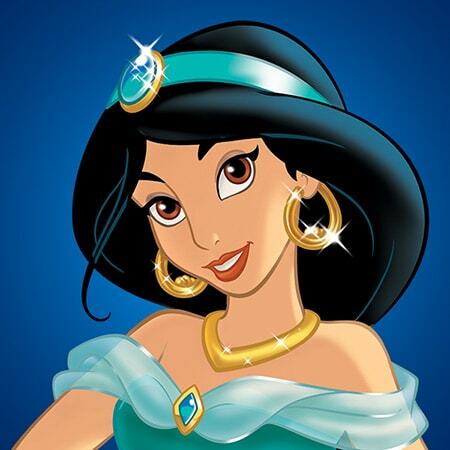 Aladdin is a poor but streetwise young optimist who dreams of a brighter destiny and is determined to find it. Jasmine is an independent, fiery beauty capable of taking care of herself. She longs to experience life outside the palace. 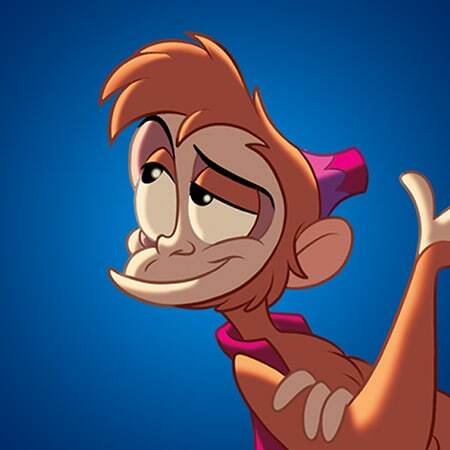 Aladdin’s bright-eyed and nimble-pawed pet monkey has a major talent for minor mischief and kleptomania. 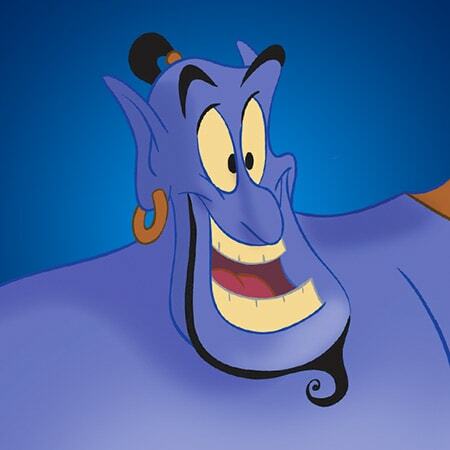 The Genie is a joke-cracking, shape-changing, big blue motor mouth who makes your wishes come true… and makes a great friend, too. After the beautiful Belle is imprisoned in an enchanted castle by a Beast, she discovers the kind and gentle prince within. Celebrate the glory of The Lion King as this masterpiece takes its rightful place in the acclaimed Walt Disney Signature Collection!